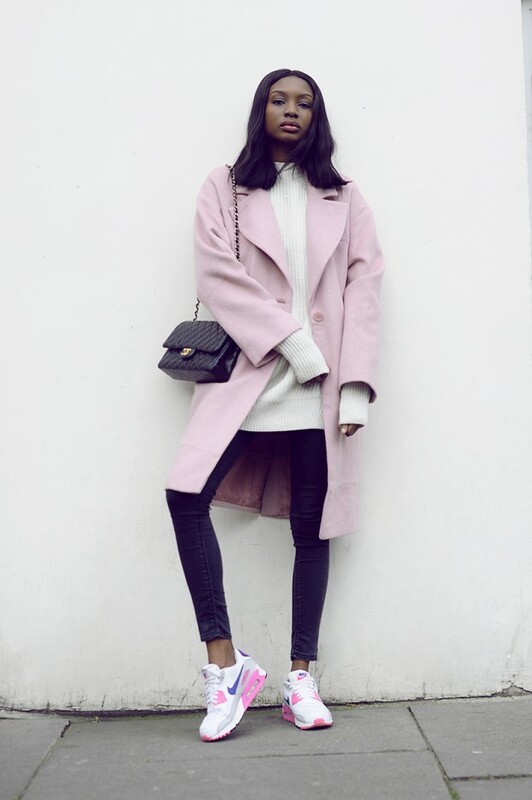 How to wear an over sized coat + sneaks? Super easy. It is all about comfort, really. And of course your basics. 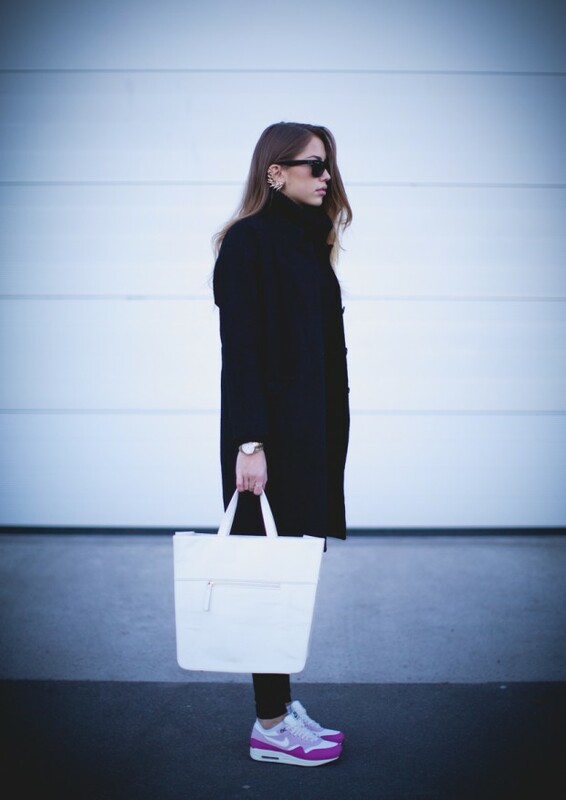 Keep it simple underneath it all. If a few years ago we could not imagine day, business, formal or evening look combined with sneakers, now it is a must have addition to any urban girl … especially those from the streets of Milan, Paris, London, Moscow and New York. 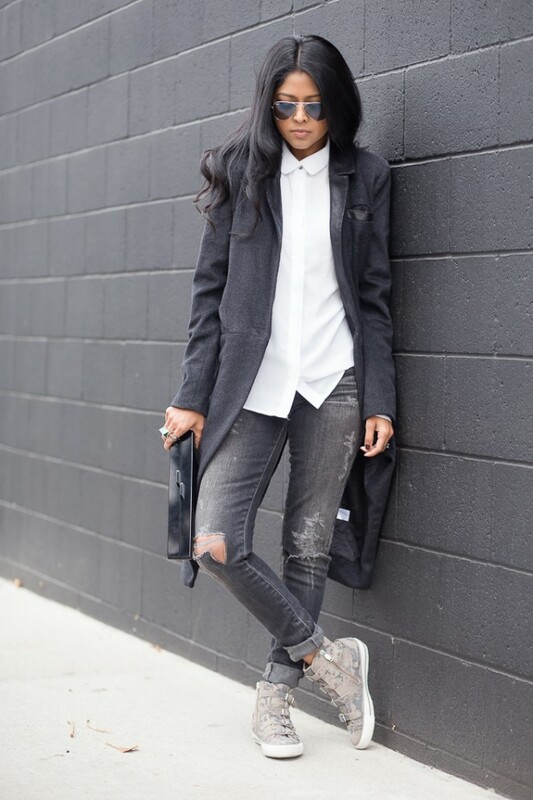 On the following photos we present you some stylish yet warm and comfortable outfit ideas with coat and sneakers.